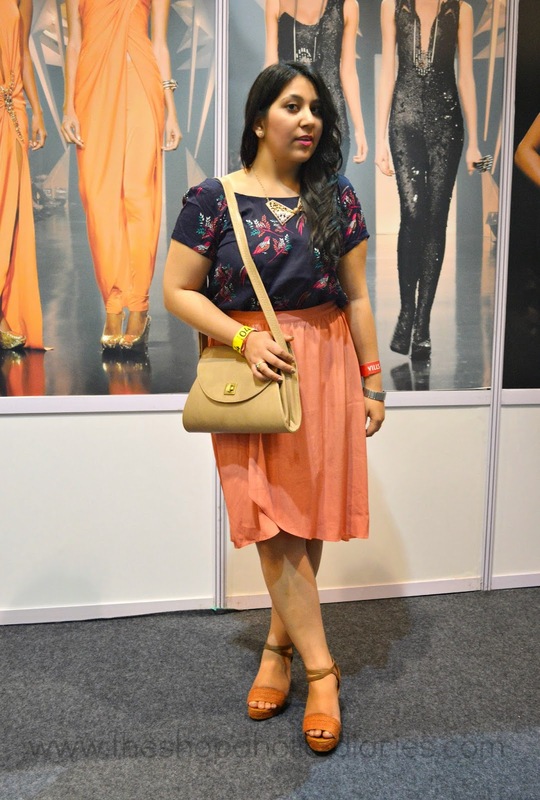 OOTD - My Summer Style - Asymmetrical Skirt and Printed Top | The Shopaholic Diaries - Indian Fashion, Shopping and Lifestyle Blog ! Can't believe it's June already, almost mid year. This year is passing really soon, isn't it? How I remember being in a bad phase back in February to having lotsa fun at the Wills Lifestyle Fashion Week'2014. And while I was going back the memory lane looking at the pictures of my outfits clicked in the last few months, I came across this one outfit which I had completely forgotten to post about on the blog. 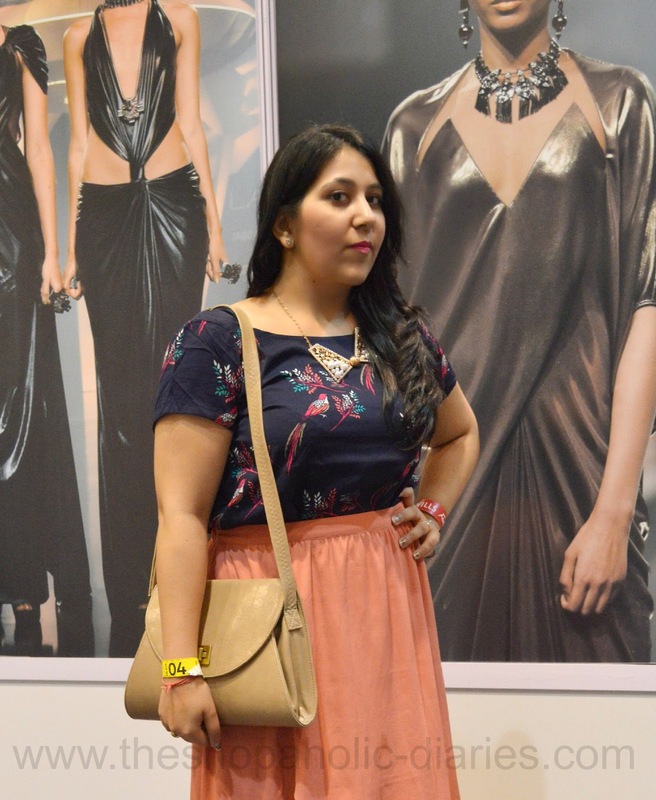 So, today I am sharing an outfit dating back to the WIFW'14. I have been a fan of asymmetrical dresses and tops a lot but have hardly featured them on the blog, except one of these maxi dresses. So, when I came across this pastel asymmetric skirt at one of my favorite online shops - Precious Melove - I purchased it instantly, thinking about the various ways I could style this skirt. 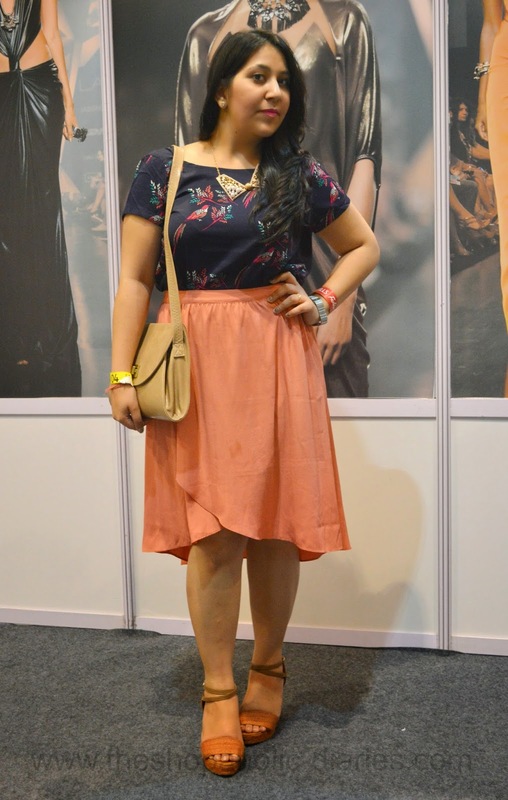 So, while I decided to dress up for one of the days at WIFW, I decided to pair this skirt with a contrast blue top having a bird print, I bought from GK M block market. 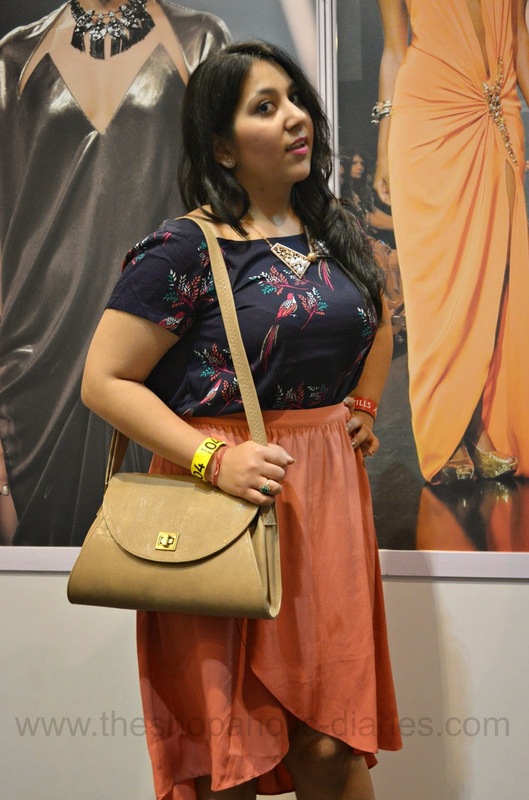 I accessorized the outfit with a collar neckpiece, and wore a pair of tan wedges from Pavers England and carried my favorite Baggit bag. I am so glad I could share this lovely outfit with you which reflects my personal summer style. What is your summer style? Let me know in the Comments below. As usual, very very stylish! Love those shoes! Lovely post. I really like your post. I like the way you written the post. All points are very true and impressive. There are many website who famous for fashion blogs and fashion articles. Thanks for sharing such a nice post.